This is the tournament we've all been waiting for and there's no need to wait any longer. 16 teams will fight for European glory in the next 23 days and the list of favorites include Spain, Germany, Netherlands, France, Italy, England and Portugal. Let's all hope for an exciting EURO 2012! The wait is finally over! The EURO 2012 is about to start in a few hours and every football fan will have the chance to watch 31 games in the next 23 days. The tournament will be disputed by 16 National Teams, all seeking for glory in an European Championship. From June 8 (Day 1) until June 19, there will be 2 games per day, in order to decide which teams get through from the group stages into the quarter-finals. 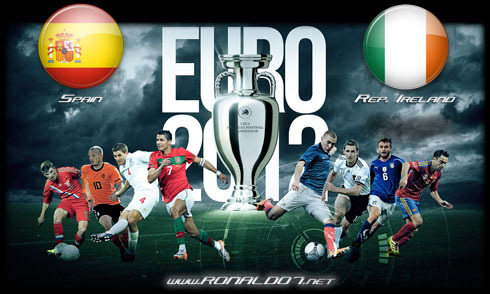 A total of 8 squads will get that desired ticket (the first two from each group), and they'll then measure strenghts with each other, in a knock-out stage, as they attempt to reach the EURO 2012 final set for July 1. Below, you can have a look at the complete EURO 2012 schedule, game-by-game and day-by-day.